​Nondrying formula gently removes excess residue from skin. Formulated with personalized botanicals for your skin type and contains an antioxidant-rich botanical complex. Improves skin texture, leaving it with a soft, matte finish. Leaves skin looking healthier and feeling refreshed. Normal skin is treated to the antioxidant powers of frangipani flower and water lily extracts. Taking care of your skin should be tailored to you and your budget. Mary Kay® Botanical Effects® Freshen for normal skin is a nondrying formula that gently removes your skin’s excess residue while improving skin’s texture.The freshener is part of the Mary Kay® Botanical Effects® Skin Care Collection – a simple regimen infused with the goodness of botanicals that are personalized to your skin type to bring out skin’s healthy radiance. Plus, Botanical Effects® Skin Care has an antioxidant-rich complex featuring Silymarin (milk thistle) and Luo Han Guo (known as the “longevity” fruit) to help defend against environmental damage and help promote healthy skin. Botanical Effects® Skin Care even has a sensitive side – those with sensitive skin also can share in the beauty of its botanical benefits. Botanical Effects® Skin Care is hypoallergenic and free of fragrance and synthetic dyes. Plus, the packaging is gentle on the environment. 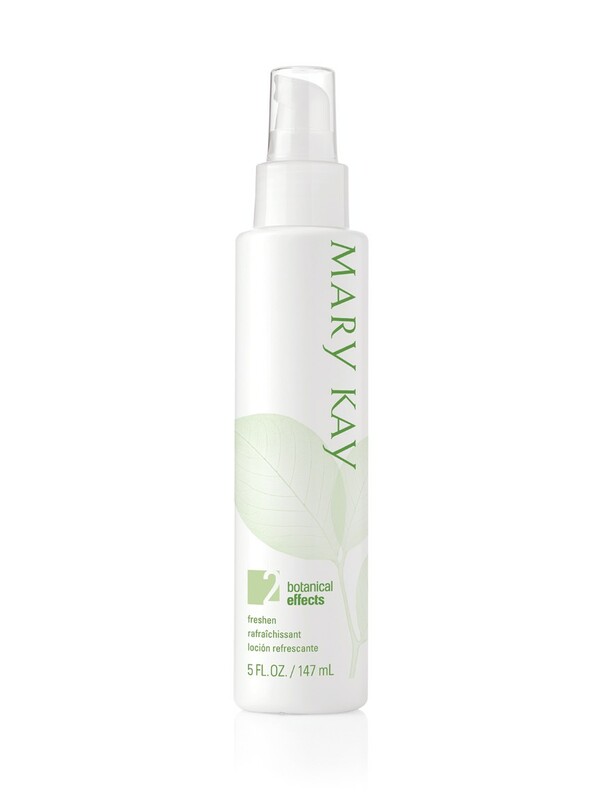 Use Botanical Effects® Freshen for normal skin whenever you need an extra burst of clean to remove excess residue. Simply spray on a cotton ball and apply all over face. Can be used daily, morning and night, following the use of Botanical Effects® Cleanse for normal skin. The frangipani flower is known for its calming and soothing benefits and is an antioxidant that helps protect against environmental stressors. An antioxidant, the water lily is reported to be a source of minerals that are important for healthy skin. The personalized botanicals in Botanical Effects® Freshen for normal skin deliver holistic benefits to help restores skin’s natural balance.